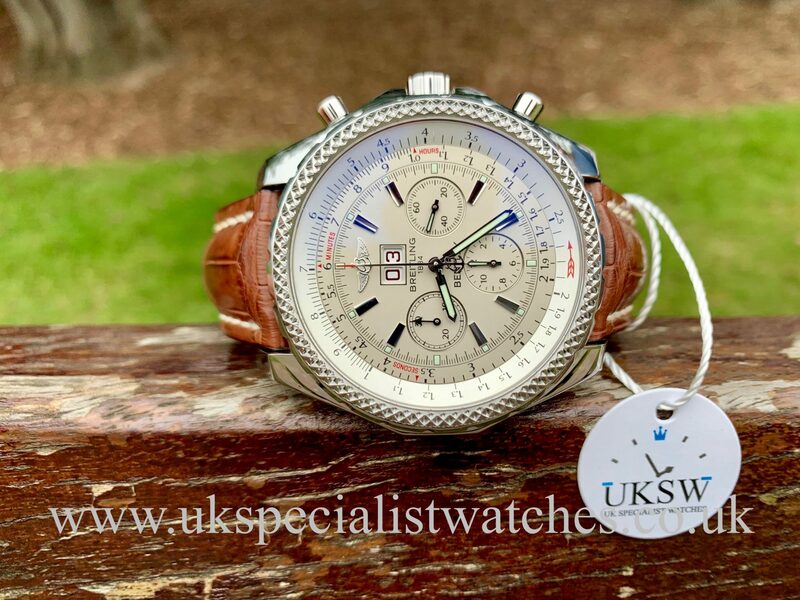 Breitling Bentley Chronograph with a 48mm polished Stainless Steel case, silver / white Baton dial, luminous hands with three sub dials and small seconds at 3 o’clock. 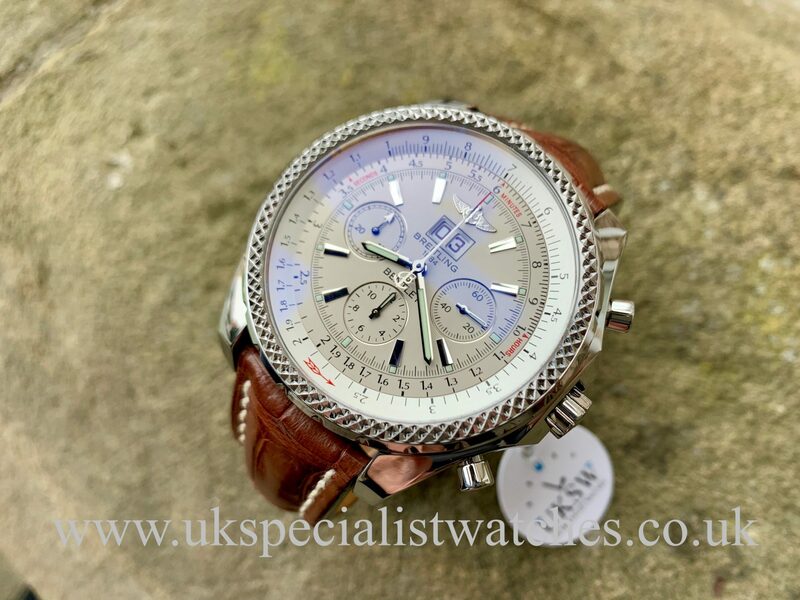 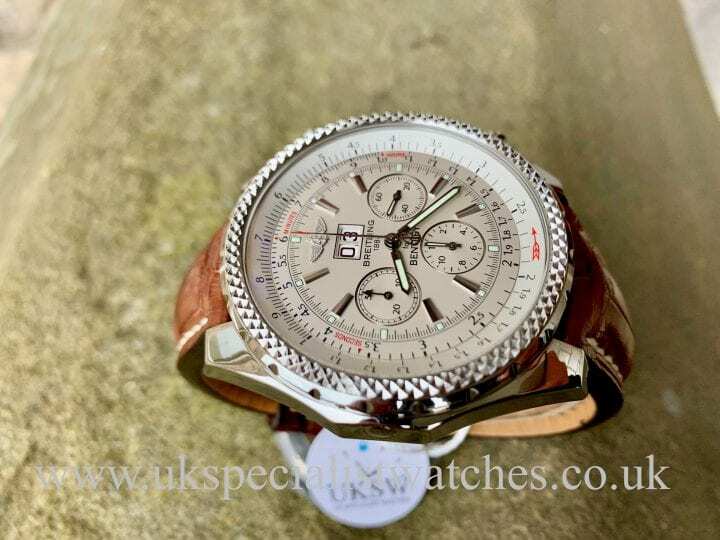 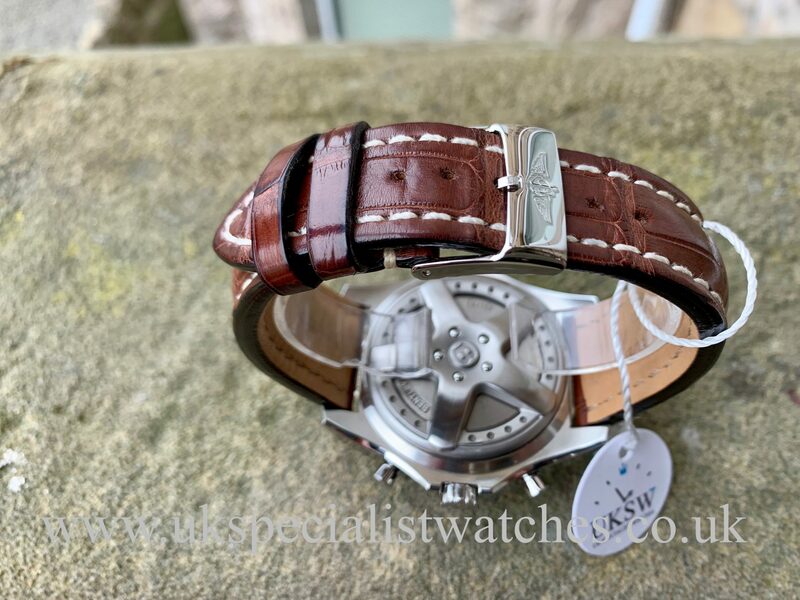 The watch is fitted to a Breitling tan leather strap with contrast white stitching and stainless steel pin buckle. 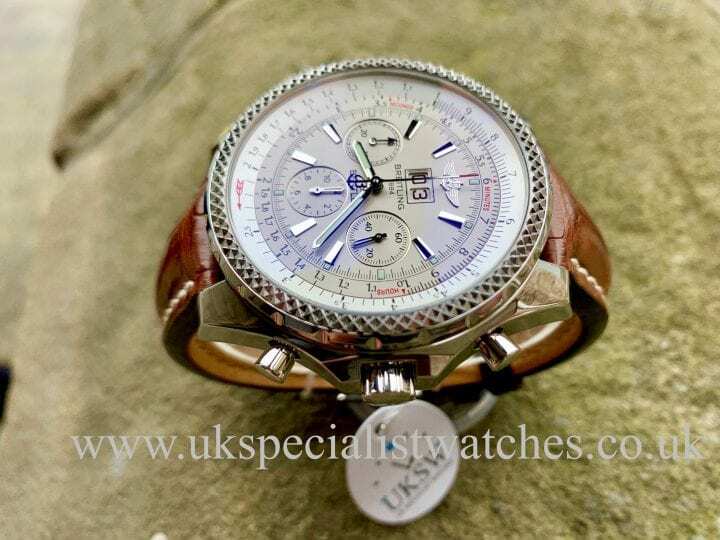 A very impressive looking timepiece! 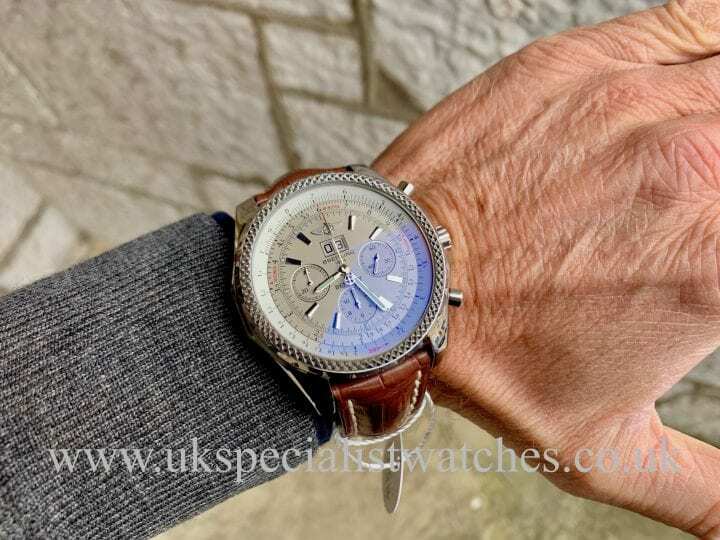 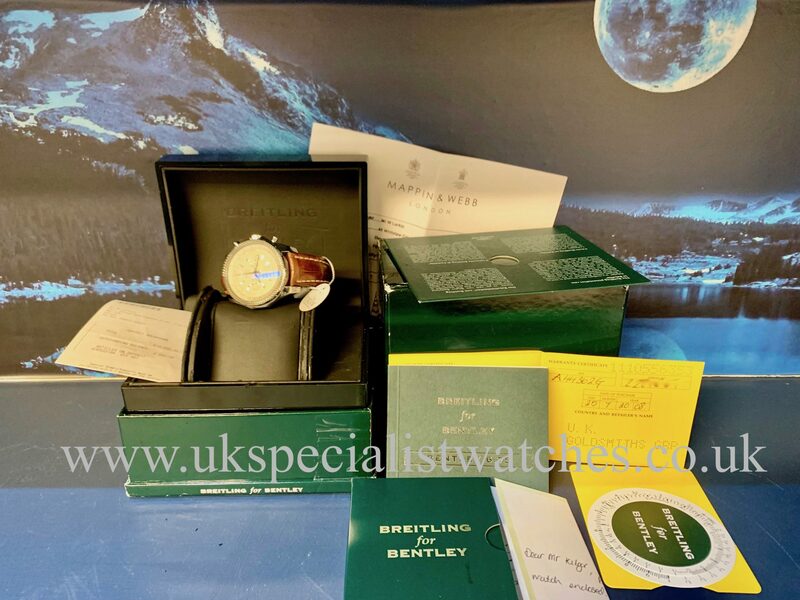 Powered by an automatic movement and comes complete with all box and papers, spare link, swing tag, chronometer certificate etc, official Breitling service receipt dated 2013, UK Supplied 2008.